As part of my ongoing quest for perfect skin, I have recently turned my attention from the skin on my face to the skin on my whole body. 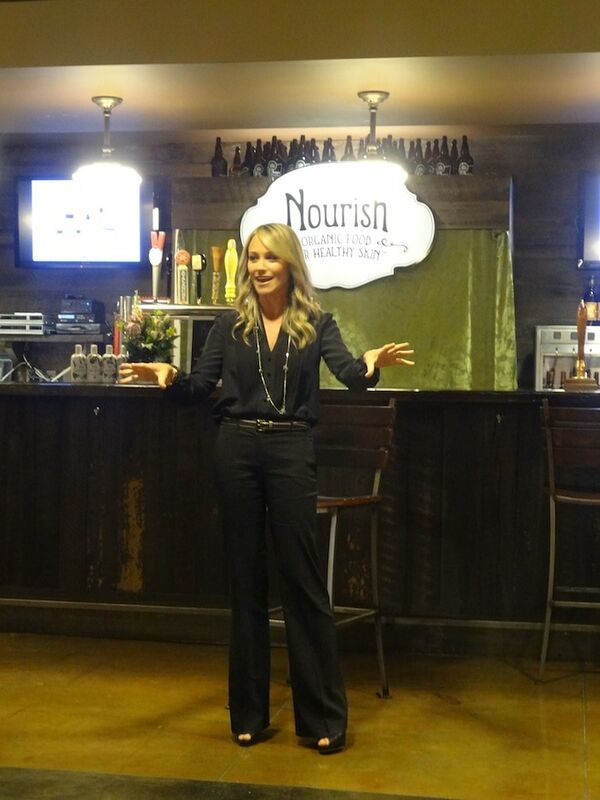 And in doing so, I was conveniently able to check out the launch of Nourish – Organic Food For Healthy Skin, the first USDA 100 percent certified organic bath and body collection. 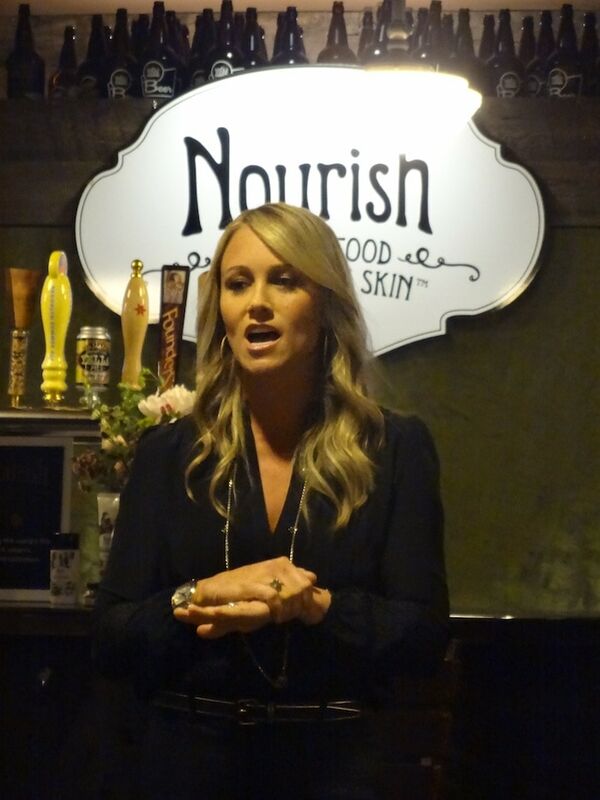 Hosted by Whole Foods, as part of their effort to eradicate beauty products without organic content from their shelves, the event presented the new line’s products with the help of their celebrity Brand Ambassador, actress Christine Taylor. Emphasizing the brand’s motto that what you put into your body is as important as what you put on it, Ms. Taylor explained that her interest in the brand was motivated by her concern that she not only feed her family healthy foods but also feed their skin with the very same fruits and vegetables. With so many body care lines on the market, what sets Nourish apart is a proprietary formula that uses only organic fruits, vegetables, plant extracts and literally nothing else. The ingredient list reads like a recipe instead of a formula blend. Even more striking is the way in which Nourish creates the scents used in its products. Instead of adding artificial chemicals or additives to simulate a scent, Nourish products use only certified organic essential oils and extracts. So, the Fresh Fig scent products really are scented by figs. 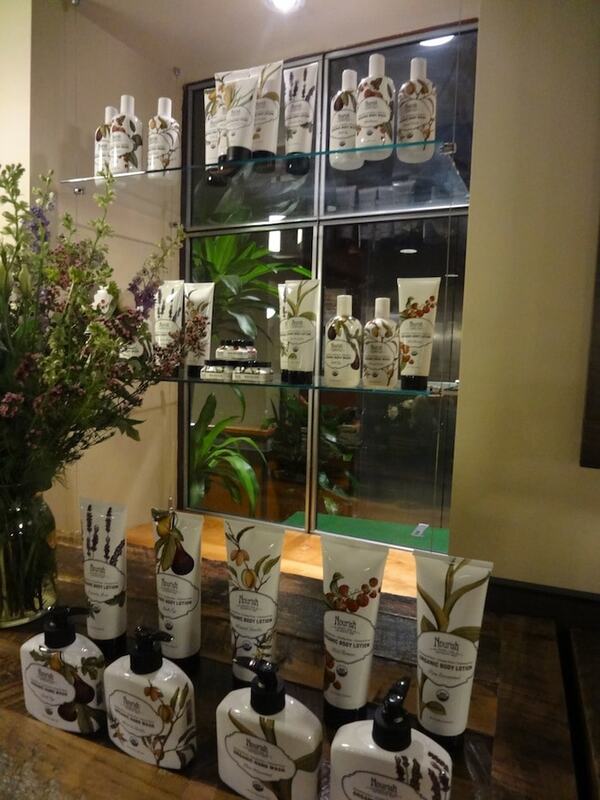 Of the products presented, my personal favorites were the Organic Hand Wash and the Organic Body Lotion. The hand wash doesn’t dry out your hands and only leaves a lingering of its scent. Thick and buttery, the body lotion is designed for intense moisturization and everyday use. The formula contains a unique mix of Acai, Rice Bran and Sweet Almond oils and in the Lavender Mint scent it’s particularly luxurious. I usually only buy unscented body products because the scented ones seem so fake and overpowering, but I am now addicted to the zesty and comforting Lavender Mint scent. If scent really is the strongest sense tied to memory, then the smell of Lavender Mint body lotion will always bring me back to a lovely night spent getting to know the Nourish brand. Nourish will be availabe for purchase exclusively at Whole Foods in Summer 2012. For more information, please visit www.NourishUSDA.com. 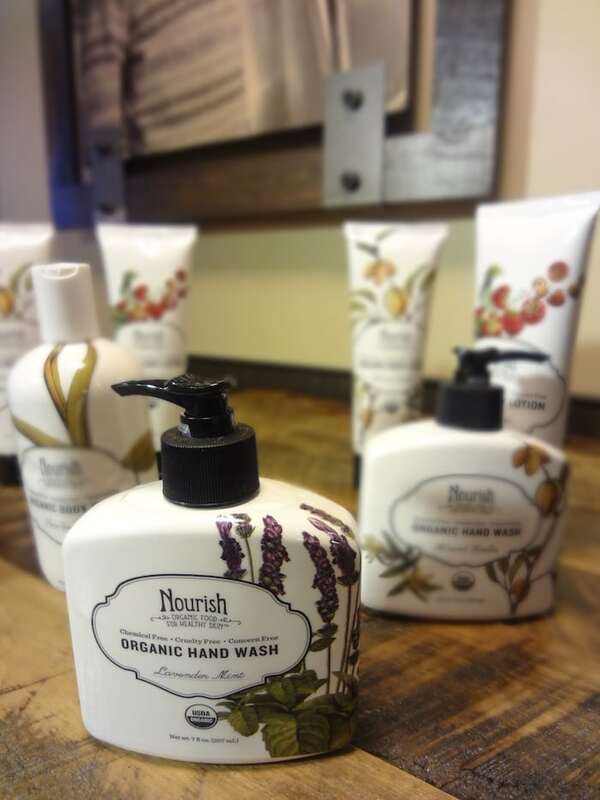 Nourish organic bath and body products are 100% healthier for sensitive skin. I still use and wanna use regularly though. Thanks! Thank you for the review! I will check them out. I love organic skin care!